With the help of proficient team of executives, we are continuously betrothed in presenting an inclusive series of Darjeeling Tea Leaf. We are among the renowned importer, exporter, trader and distributor of best quality Black Tea Leaves. These Black Tea Leaves have strong flavor and aroma which contains relatively large amount of anti-oxidants. Black tea leaves are one of the most healthy tea varieties which reduce diseases related to cardiovascular system. White tea is a type of uncured, unfermented tea that is very popular in Asian countries, particularly in China where it is commonly grown. Its unique flavor is often pleasant to regular tea drinkers. Darjeeling Natural Tea Leaves., 250.gm To 500gm. Packaging Size: 250.gm To 500gm. We provide a finest quality assortment of Green Tea Leaves that are processed by using natural methods without using chemicals. We offer these products at market leading prices with ensuring their quality. We are providing different quality of Tea Leaves with different cuttings. Kannan devan and thalayar branded tea (dust and granules) available. Starting at 145/kg to 200. 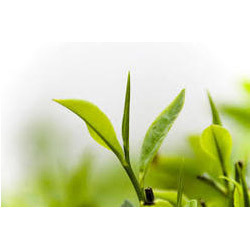 We have established ourselves as a trustworthy Exporter and Supplier of Tea Leaves in India. These Tea Leaves are produced using 100% natural modes. We package these Tea Leaves in food-grade packs, ensuring longer shelf life and lasting taste. Besides India, Dubai, Singapore and Saudi Arab are our major areas of operation.